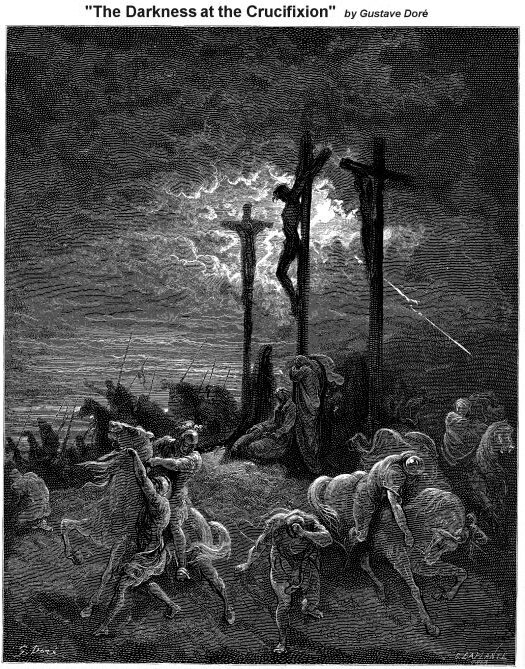 As Good Friday approaches, we rejoice in the greatest event in the history of humankind. 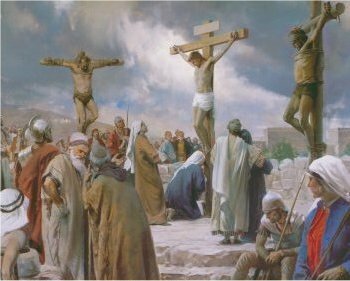 Here at Golgotha, God the Father, proved his love for us. Here, God the Son, took our place and received our just condemnation. Here, God the Holy Spirit, drew us to saving faith and deep repentance. Here, God’s grace is magnified as greater than our sin. Here, the mercy of God and the holiness of God met and kissed one another fulfilling the conditions of God’s justice and grace. Here at Calvary, the Holy Trinity’s love is displayed to the world. The Puritan prayer, “Love Lustres at Calvary,” describes this great exchange: we receive Christ’s holiness and forgiveness while Christ takes upon himself our guilt and just judgment. As an act of love, God gladly made this unfair, one sided trade of our selfishness and pride for Christ’s righteousness and holiness. Therefore, we can live a life of intimacy with the Father because Christ has made all things right. This great exchange means that we can live on a daily basis an exchanged life of victory. At Calvary, the greatest of all exchanges occurred. 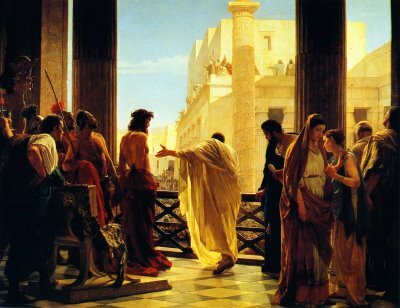 Jesus Christ, the one who is fully man and fully God, truly innocent and without sin, took upon himself all our selfishness, rebellion, and hate and substituted his righteousness, forgiveness, and love. Christ bore the just judgment of God for our miserable sins, guilt, and shame. Some theologians call this act, double imputation. I call it glory. We can daily live the exchanged life because Christ by his gracious grace made the exchange of our sins for his righteousness on the Cross. The exchanged life is not a one-time act, but a lifestyle lived as we abide in Christ, trusting the Holy Spirit to live Christ’s life in and through us. Arthur Bennett, ed., Valley of Vision: A Collection of Puritan Prayers (Carlisle, Penn. : The Banner of Truth Trust, 1975), 76. This entry was posted in Exchanged Life, Puritans, The Cross and tagged Exchanged Life, Purtans, The Cross on April 21, 2011 by GlennDavis. The exchanged life is passive in that Christ works in us, but it is active for Christ empowers us to make righteous right choices. We must choose to walk in the Spirit, put on the new man, and trust our heavenly Father’s guidance and direction. As we maintain the confident expectation that God will be faithful to his promises, then we can anticipate and expect his gracious exchange of our weaknesses for his strength. The overcoming life is not a change but an exchange. If it were up to you, you could not make it. But if it is up to Christ, He can make it. The question is whether it is you or Christ who overcomes. If Christ overcomes, it would not matter even if you were ten times worse than you are now . . . . Thank and praise the Lord. We have not been able to change ourselves for all these years. Now God is making an exchange. This is the meaning of holiness. This is the meaning of perfection. This is the meaning of victory. This is the life of the Son of God! Hallelujah! 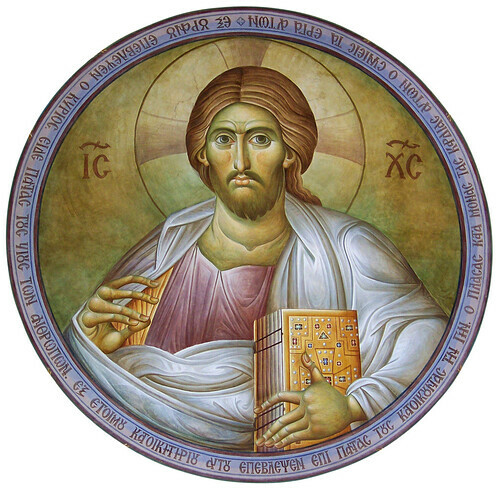 From now on Christ’s meekness becomes my meekness. His holiness becomes my holiness. From now on His prayer life becomes my prayer life. His fellowship with God becomes my fellowship with God. From now on there is no sin too great for me to overcome. There is no temptation too great for me to withstand. Victory is Christ; it is no longer I! Is there any sin too great for Christ to overcome? Is there any temptation too great for Christ to surmount? Thank and praise the Lord! I am not afraid anymore! From now on, it is no longer I but Christ. Watchman Nee, The Life That Wins (New York: Christian Fellowship Publishers, 1986), 35. This entry was posted in Exchanged Life, Watchman Nee and tagged Exchanged Life, Watchman Nee on June 11, 2010 by GlennDavis.